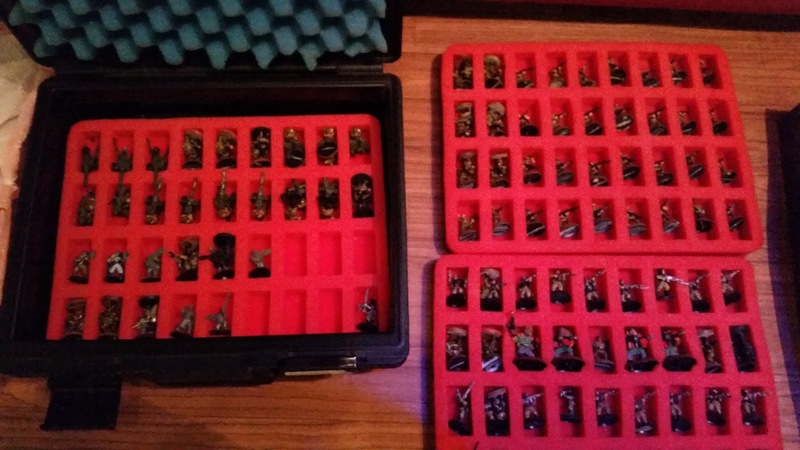 Last week I mentioned that I procured a second-hand collection of Imperial Guard, right? But I didn't get to show it because I forgot to take pictures of them. Well, wait no more! I took pictures of them! Here is my new collection! As you can see, in addition to the 66 Guardsmen, a bunch of Company Commanders and special weapon holders (7 plasma gunners, 7 flamers, 3 heavy flamers, 1 grenade launchers, 4 meltagunners and a bunch of heavy weapons), I also have 2 Hellhounds and 5 Leman Russ tanks. 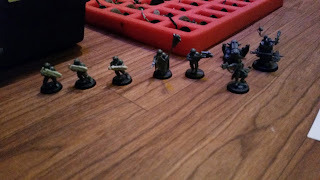 Oh, and I added more units to my Imperial Guard army. Well, not just Imperial Guard. I got hold of a Tech-priest Enginseer so that he can serve as a HQ for my Adeptus Mechanicus army. 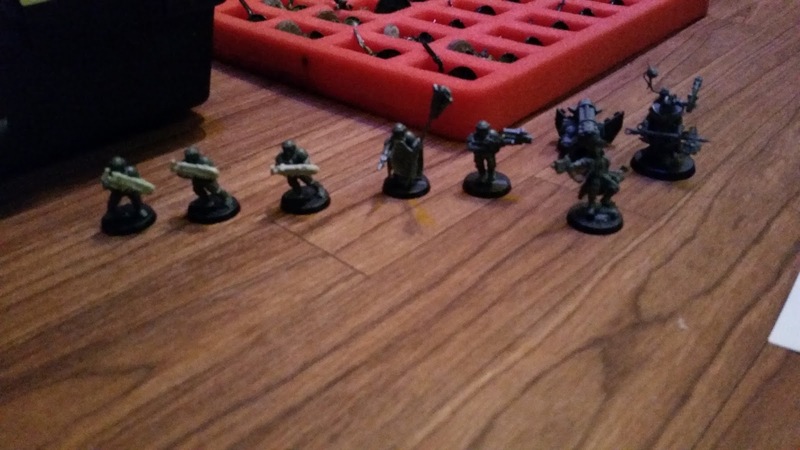 The rest of them are for my Imperial Guard. 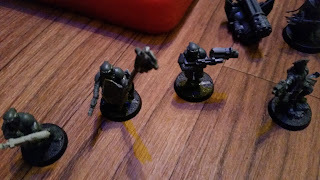 As you can see, I have a Lord Commisssar, a Primaris Psyker and 3 plasma gunners! And Sergeant Harker! 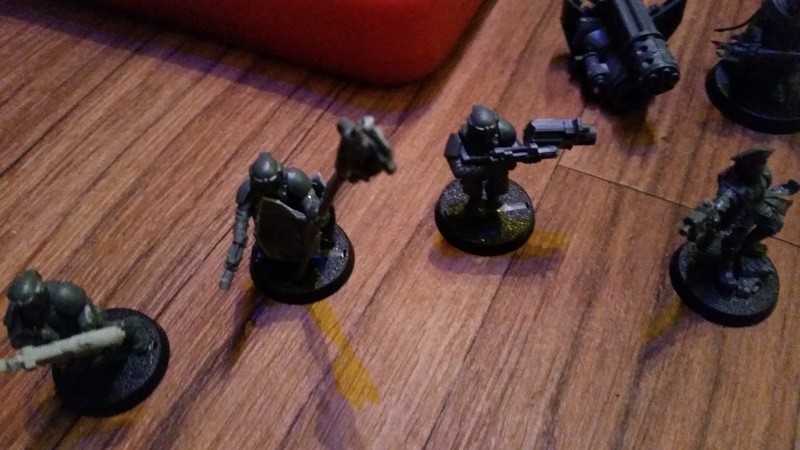 The Primaris Psyker and Sergeant Harker are kitbashed, as you can see, but it doesn't matter, right? As long as they look the part. I also kitbashed a Stormspear rocket pod for my Imperial Knight, though it looks nothing like a rocket pod. It can double as twin Icarus autocannons if I need it to. So yeah, kitbashing is funny if you can get used to it. I guess. The force stave looks a bit weird because I carved it out of 2 lasguns and a regimental flag (trimmed the flag off and used it as the psyker's cloak instead). I bet it's fragile and I don't fancy having to cart him around, but I don't think I have a choice. 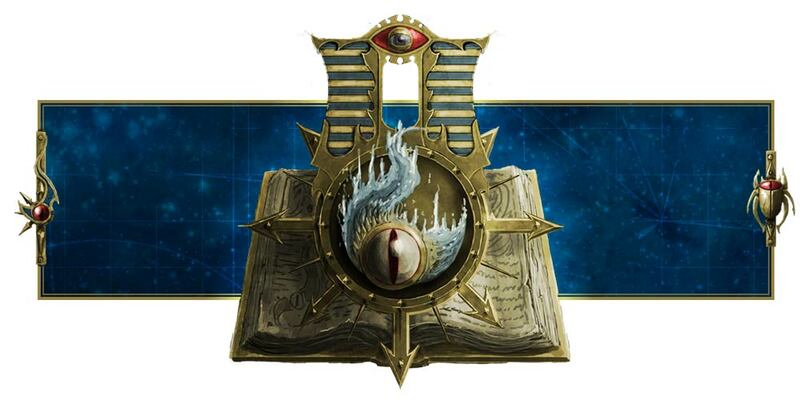 I'll be getting another Company Command squad, where I'll kitbash a 2nd Primaris Psyker and get my plasma gunner, heavy flamer and flamer guys along with the final company commander. Let's hope everything goes smoothly! If things go as planned, I might even get a Shadowsword tomorrow! Can always use more guardsmen, but those tanks are a nice score. 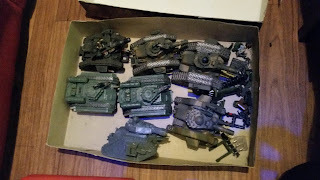 I managed to find a FW Tallarn tank commander and I'm thinking about going legit and not just 'counting as' all my cadians. That sounds really cool! I use a homebrewed regiment, so I'm flexible enough with mixing and matching different regimental doctrines, but I can see the appeal in going legitimate!